We have asked you about your pain points and you have told us how we can assist. Here’s what we have done in response. 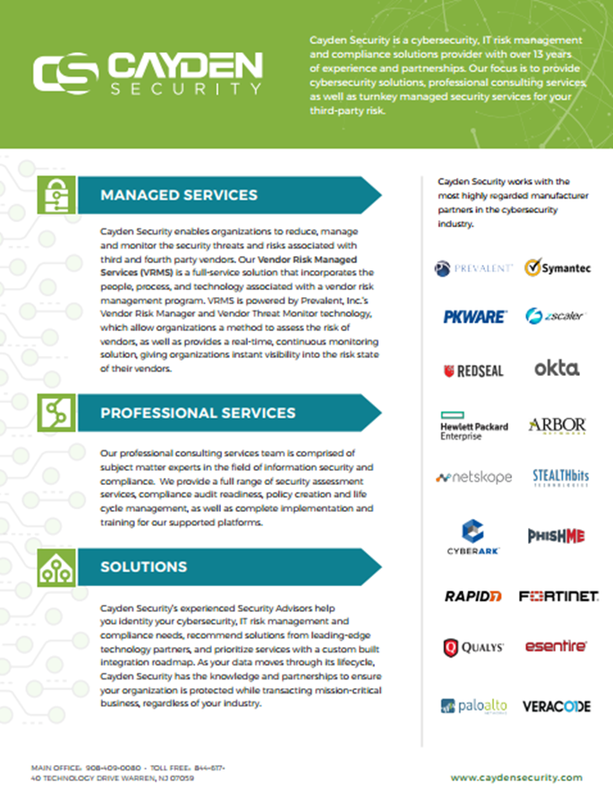 Cayden Security consists of three focus areas: Managed Services, Professional Services, and Solutions.